Innovation happens at a variety of scales and with the involvement of innumerable parties. Prof. Lester will discuss how systems of innovation are built, how they compare with another, and how they can be harnessed to tackle the energy issues that face us today. 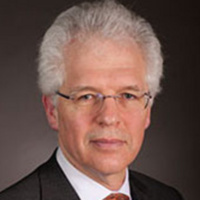 Richard Lester is the Japan Steel Industry Professor and Associate Provost at the Massachusetts Institute of Technology, where he oversees the international activities of the Institute. From 2009 to 2015 he served as head of MIT’s Department of Nuclear Science and Engineering, leading the Department successfully through a period of rapid rebuilding and strategic renewal. His research is concerned with innovation strategy and management, with a frequent focus on the energy and manufacturing sectors. He is widely known for his work on local, regional, and national systems of innovation, and he has led major studies of national and regional competitiveness and innovation performance commissioned by governments and industry groups around the world. He is the founding director and faculty chair of the MIT Industrial Performance Center. Professor Lester is also well known for his teaching and research on nuclear technology innovation, management and control. He has been a long-time advocate of advanced nuclear reactor and fuel cycle technologies to improve the safety and economic performance of nuclear power, and his studies in the field of nuclear waste management helped provide the foundation for new institutional and technological strategies to deal with this longstanding problem. His latest book, Unlocking Energy Innovation: How America Can Build a Low-Cost, Low-Carbon Energy System (written with David Hart), outlines a strategy for mobilizing America’s innovation resources in support of a decades-long transition to an affordable and reliable low-carbon global energy system. Professor Lester obtained his undergraduate degree in chemical engineering from Imperial College and earned his Ph.D. in nuclear engineering from MIT. He has been a member of the MIT faculty since 1979. He is an advisor to governments, corporations, foundations and non-profit groups, and he serves as chair of the National Academies’ Board on Science, Technology, and Economic Policy.